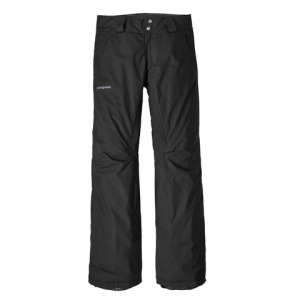 With an updated design and lighter weight insulation, the Patagonia Insulated Snowbelle Pants are designed to keep you warm in harsh mountain conditions. The tough 2-layer H2No(R) polyester shell keeps weather out and is treated with a Durable Water Repellent (DWR) Finish to prevent wet snow from saturating your pants. Thermogreen(R) insulation is designed to keep you warm, even if it gets wet, and adjustable elastic tabs at the waist ensure a dialed-in fit for all-day warmth and comfort. 30 in inseam.